Reforms at state-owned enterprises, a review of the local government fiscal framework and a clearer plan to fund fee-free higher education are among the recommendations made by the Financial and Fiscal Commission (FFC) to government. Representatives from the FFC briefed members of Parliament on the mini budget on Tuesday, in a joint sitting of the standing committees on finance and appropriations. A report with recommendations was submitted to MPs. The FFC is constitutionally mandated to make recommendations to Parliament, provincial legislatures, organised local government and other organs of state on financial and fiscal matters. The FFC noted that public wages account for over half of provincial budgets, and poses a key risk to the provincial fiscal framework A higher wage agreement was reached in June, but government does not have any income to allocate to this – requiring sub-national government to reprioritise programmes to make available funding for the increases. The commission recommended that government departments practice fiscal prudence and ensure that the wage pressures do not divert resources away from basic service delivery for example health and education. The FFC further recommended to ensure "real productivity" within the public sector, "value for money" be sought and that reprioritisation be monitored to ensure it does not compromise service delivery, said Dr Hammed Amusa, the FFC's programme manager on macroeconomics and public finance unit. The FFC noted that a significant number of municipalities are distressed and dysfunctional, as the fiscal health of many municipalities had deteriorated over the past few years. The commission called for a comprehensive review of the local government fiscal framework to include a focus on governance and other institutional arrangements. The FFC reiterated that service delivery should not be compromised, and government must consider this in terms of the division of revenue. The FFC also recongised government's plan to allocate R855bn on infrastructure spend over the medium term, as well as the establishment of an infrastructure fund. With regard to the fund- which will comprise of contributions from government, the private sector and development finance institutions - the FFC said government should bear in mind the intergovernmental fiscal arrangements and ensure a balance in the allocation of resources across spheres of government. 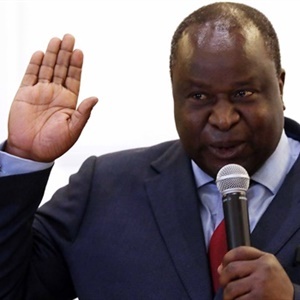 In addition to measures to ensure the implementation of these infrastructure projects, as were laid out in Ramaphosa's stimulus package, the commission recommends that government invest in an infrastructure delivery inspectorate. This is to ensure projects are delivered with required standards and quality. 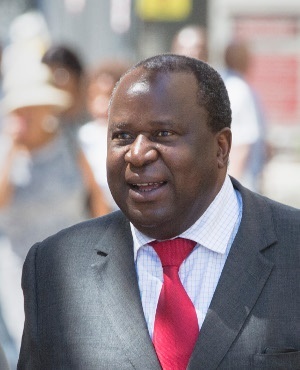 Government should take an approach to cost infrastructure in line with its functions and performance with empirical data, to ensure real productivity by the public sector, the FFC said. The commission also flagged the long-term risks of state-owned companies (SOCs) to the fiscus. The FFC noted that government guarantees to SOCs amount to R670bn. "Crucial under-performance of SOCs does not justify the under-funding of other crucial social imperatives and the erosion of government's borrowing capacity," the FFC's report read. The FFC recommended that SOCs commit to a short-term and long term-agenda of reform - which addresses internal management deficiencies, aggressive cost containment, strict procurement controls and market repositioning. The FFC called for government to develop a "clearer plan" for implementing the policy of fee-free higher education. The plan should address uncertainty in the institutions responsible for higher education, and ensure efficient and effective use of resources. For example – the funding should be available consistently over all of the students' years of study and funding must be aligned to building skills which will stimulate economic development. Government should also focus on improving outcomes at all levels of the education system, the FFC said.